Mary acts, sings, and has been awarded for theatre and community productions on both coasts. She attended The Uta Hagen School of Theatre in New York City. Her past rôles include those of Agnes Gooch in AUNTIE MAME, Billie in BORN YESTERDAY, and Millie in PICNIC. She played Putski in A HAT FULL OF RAIN, for which The Nutley Little Theatre in New Jersey placed second in a statewide drama tournament. Mary thanks her family, friends and coaches for always encouraging her in her pursuits to entertain. Brianna has been acting in the entertainment industry for only a couple of years, but already has several theatrical and commercial credits to her name. Her favorite was playing the role of Violet Diskin on TNT's "The Closer". When she isn't acting, Brianna can be found playing computer games, reading, or playing with her brother and sisters. When Brianna grows up she wants to be a mom, a writer, an actress, and a game designer. She is currently represented by Mavrick Artists as well as Kohl Management Group. Becky began her writing career in music, working professionally as a singer/songwriter with several bands in the Chicago area. Following a move to Los Angeles where she studied musical theater, acting, voice over and broadcasting, she was chosen as a featured singer for an Olympic Games special event held there. It was around this time that she also composed the musical score for her musical, PIER. Becky was cast in a number of musical theater productions in addition to garnering a lead role in THE FANTASTICS. Years later she went on to co-direct the musical production of that show. Becky has earned credits in both voiceover and on-screen actor roles in commercials, which include work for LEXUS, AT&T and SCHWINN. As she set her sights on gaining experience to compose for film, she went on to score and write music for several short films, including the cult feature film, SPECIAL DEAD. In 2010, she penned her first feature length film, INHERITED INSANITY, which in 2012, she also produced, co-directed, edited acted in, and co-scored. Paul always wanted to be an actor. His father always wanted him to be an accountant. He decided to be a jeweler, dairyman, mandolin player, a bike messenger, life insurance salesman, tractor, motorcycle and car mechanic (anything to avoid the fate his father had in mind for him) before turning professional actor six years ago. In addition to appearing in a variety of character roles in TV shows like "CSI", "NUMB3RS", and "Warren The Ape", Paul can be seen in a number of short and feature length films, and heard in ADR for "Pirates Of The Caribbean II" (& III), "The Prestige", and character voices in several animated short films. 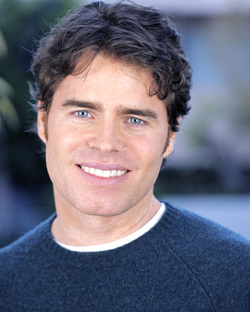 Delaney is originally from Louisville, Kentucky where he began acting and writing in his own skit comedy show on local television in the 1990s. While living in London, he was cast for guest roles in two British TV shows, "Dubplate Drama" and "Kate Modern". He relocated to Los Angeles 5 years ago and stays busy working as a Director of Photography, Editor and Actor. Born and raised in Denver, Colorado, Jackie Glenn earned her college degree in biology with a minor in anatomy and neurobiology. She worked at the Centers for Disease Control and later as a Tissue Recovery Coordinator involved in procuring organs and tissues for transplant surgeries. In her spare time, Jackie auditioned for commercials and independent films. Jackie’s manager encouraged her to remain in Los Angeles. She appeared in “City of Angels” and has been working mostly in independent feature film. Some of her favorite past projects include the web series, "Cheating Inc". and the film, "The Things I’ve Seen". Margaret Fennell Flynn is from Troy New York. She is an actor/singer/song-writer. She has three CD’S to her credit. Her Jazz and Swing CD had national distribution and is in light rotation on radio stations across the country. In Los Angeles she has worked in Television, stage and has done several commercials. She is a member of AFTRA and ASCAP. She recently had primary roles in three Hollywood stage premieres, one with the Underground Theater and two with The Eclectic Theater of which she is a member. She recently completed her first book which is in the final editing process and has begun the second one. Margaret is a daily swimmer and when she is not at the pool, on stage or set, she can be found at home with her husband, John, a retired career Marine-turned- actor, and her tuxedo cat, Pea 2. After a long happy run of delivering stories and life-shaping skills to young students, Karen now brings acting, singing and guitar-playing to grown-up audiences. Her diverse resume includes roles in "Our Town" and "Little Women," "Carousel," "Medea" and "‘Dentity Crisis." On TV and in short films, she has played leads including a grandma who runs a brothel, the wife of a man bitten by a cobra on Animal Planet’s series “I’m Alive,” and a featured player in the film “Redemption, Inc.” (find her on IMDB.) You might also recognize her voice from the television documentary, "Notorious San Pedro, California" and on many commercials, children’s audiobooks, and other forms of narration. Karen is the voice of the Civil Station Computer in the videogame “Taikodom,”and the Mayor on the interactive videogame “The Investigators.” Karen's international projects include recordings of the Bedtime Stories Collection, an app for iPad and iPhone. Peggy did some acting as a youngster. She is certain that her acting skills were honed later in life while working as a customer service representative for a clothing store, and then as a bartender. She is currently a Special Ed. Teacher. She knows the writer of the film, who thought that Peggy would be perfect for the role of 'Maggie', while her dog, Dylan was a perfect fit for the role of 'Dylan the dog'. After many years in radio, Bruce launched his North Hollywood-based audio/video production company, RightAfterThis.com, in 1999. He is heard on national commercials for Hyundai, El Pollo Loco, and Pacific Life Insurance, has narrated projects for the likes of Disney and LeapFrog, and recently finished Current TV’s “Dangerous Planet” series. On stage, Bruce has performed in “Out West”, “Lost In Radioland”, “Resting In Pieces”, and others; he can be seen as Jackson in the ongoing “Illegal” webisodic; and appearing as Thomas Berkus in the feature “Showboys”, scheduled for release in early 2012. Born and raised in the Bensonhurst and Flatbush sections of Brooklyn New York. Community and school plays from age six on. Theatre major at Brooklyn College. Moved to Manhattan and worked for years in the theatre while doing bits and background in major studio movies and getting comfortable on sets. Studied at HB Studios and was a member of Dale McCausland's Portobello Theatre Company. Stand up comedy , improvisation and sketch comedy with Second City , some television and movies brought me to this moment. Currently residing in Los Angeles. John booked his first national commercial with his brother for Volkswagen at the age of 7, after which he had success booking other national commercials. He loves to sing and do musical theatre. He spends most of his free time putting songs and beats together, and also singing. He keeps his iPad close so that he can dance to the songs he puts together. John loves to break-dance, and is currently dancing at Millenium in NoHo, and attending YADA doing musical theatre. He also enjoys spending time with his mother, his brother, and his puppy named, 'Coco'. A multi-talented actor and singer/songwriter, Mike has been in the entertainment business for most of his life and calls both Los Angeles and Nashville home. He recorded his first CD, Sentimental Fool, in 2001 and still enjoys being involved in a cappella groups. He has appeared in numerous commercials and theater productions, including "Smoke on the Mountain". His television and feature film credits include "Hawaii Five-0", and playing lawyer Jack Benson in "A Father's Rights". Mike is also involved in the Holistic Arts as a Cranial Sacral and Sound Healing therapist. Elizabeth Adamczyk was born in Aberdeen and brought up in Lossiemouth a small fishing village in the north coast of Scotland. Elizabeth has studied ballet, tap, jazz, modern and highland dance and has spent time in musical theater. Elizabeth moved to London to continue her dance training and to pursue her passion in film production and acting. Elizabeth now resides in Los Angeles and is with the HRI Talent Agency. She has worked onthe web series www.divine-white.com and is producing an untitled documentary on paranormal activity due to film next year. BRIAN SANTOS - 1st A.D.